If you suspected that the contents of some “green” household products were misleading, the chemists who met at the 241 National Meeting & Exposition of the American Chemical Society have evidence to back up your intuition. A recent study shows that some popular consumer cleaning products such as laundry detergent, dishwashing liquid and hand soap that claim to be eco-friendly are not 100% petroleum-free as claimed. Chemist Cara A.M. Bondi led the study which tested the carbon origin of each product. The study employed the carbon-14 dating technique, which is traditionally used in archeology to determine the age of bones, cloth, fossils and other artifacts. Bondi’s team used the technique to determine the origin of carbon in the cleaning products, as legally there are no determinant definitions of “sustainable, natural or renewable” in product carbon content. The study showed incredible variation from brand to brand, with not one product being 100% “green,” or derived solely from plant based materials. The specs are all over the place- with hand washes containing from 28-97% of plant-derived carbon, liquid laundry detergent containing from 28-94% and dishwashing liquid containing from 43-95%. 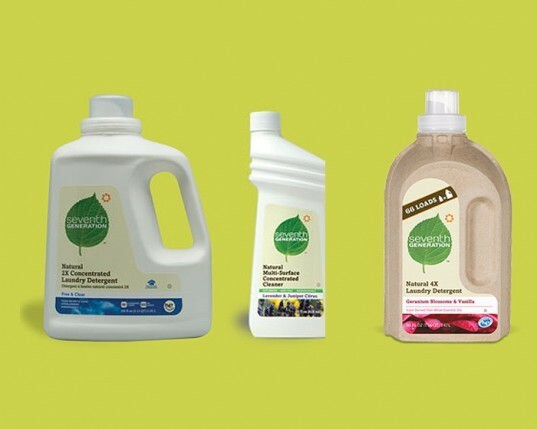 None were 100% plant-sourced, but the cleaning products marketed as “green products” do contain 50% more plant-based carbon than their cleaning counterparts. The study also found many discrepancies from label claims to actual content. For example, a product claiming to be “petrochemical free” was in fact only 69% plant-based carbon, leaving the remainder to be derived from petroleum. Sadly, Bondi’s study has uncovered the fraudulent claims of postured “green” and “petroleum-free” cleaning products on the market. But buyers may take partial solace in knowing that these products contain significantly less pertroleum-origin carbon than consumer products without a “green” categorization. One of the challenges in creating a market for better products is that the first products to market are always lower quality than established products. That was the case with cars as it is with cleaning products (check out an article in Consumer Reports on the subject at http://www.marketingforthemasses.com/survey-suggests-brands-risk-greenwashing-back). If a company is going to address designing better products, it's about more than just aiming for targets and then marketing the product - it's about rethinking the design and manufacturing process. Toyota did this with Lean as have other innovative companies does this. I'm working with a non-profit organization to look at rethinking the commercial design and construction process. Let me know what you think: www.greenroundtable.org/certification. Yes you can blame those business's for deceit , But if you look at Inhabitat's archives, I'm pretty sure you can find dozens of articles that said these products we're a must have for anyone who cares about the planet and wants to keep their house clean too. I'm pretty sure Clorox isn't the greenest thing on the market but it keeps my socks white. Thank you Inhabitat for not getting off your Aeron chairs to bother looking for the truth. I am shocked, I tell you, shocked that big corporations would dare lie to the consumers, all in the name of the taking advantage of a wave of green ecologoconsciousness about the extent of their greenness. I suppose the next thing you are going to tell me is that foods with diet and light written on them do aren't. We want names! Who's lying?